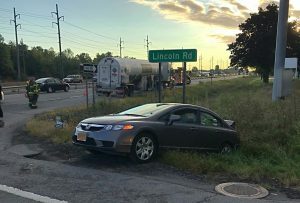 At approximately 6:58am on Thursday August 13th Union Hill Volunteer Fire Department and Union Hill Volunteer Ambulance Corps were requested to the scene of a motor vehicle accident involving an 18 wheeler near the intersection of Lincoln Rd. and Ridge Rd. Ambulance 1319 arrived to find that the incident was actually located east bound Route 104 at Lincoln Rd; Ambulance 1319 further reported minor damage and that they were evaluating those involved. 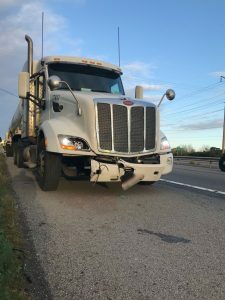 Union Hill Engine 132 confirmed that there was no damage to the tanker, secured vehicle hazards and assisted Wayne County Sheriffs Office with traffic control.